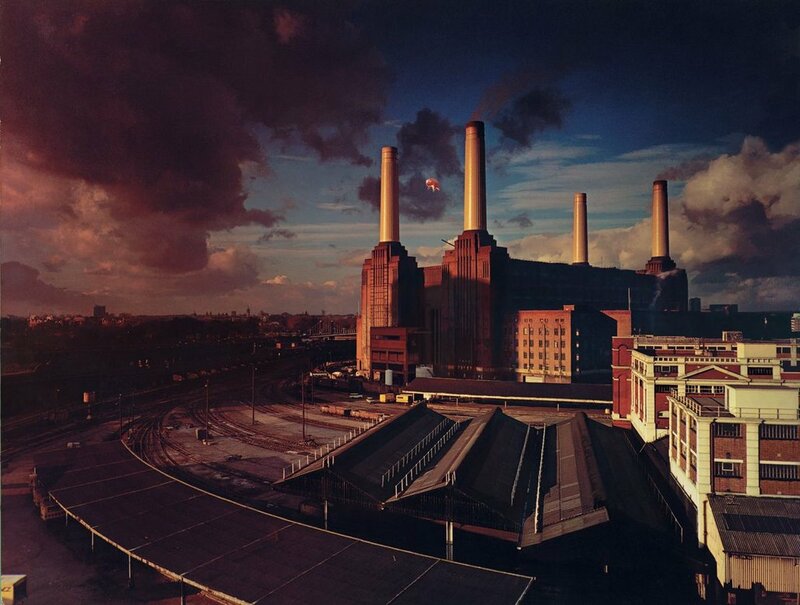 Pink Floyd released their tenth studio album “Animals” on January 23, 1977. 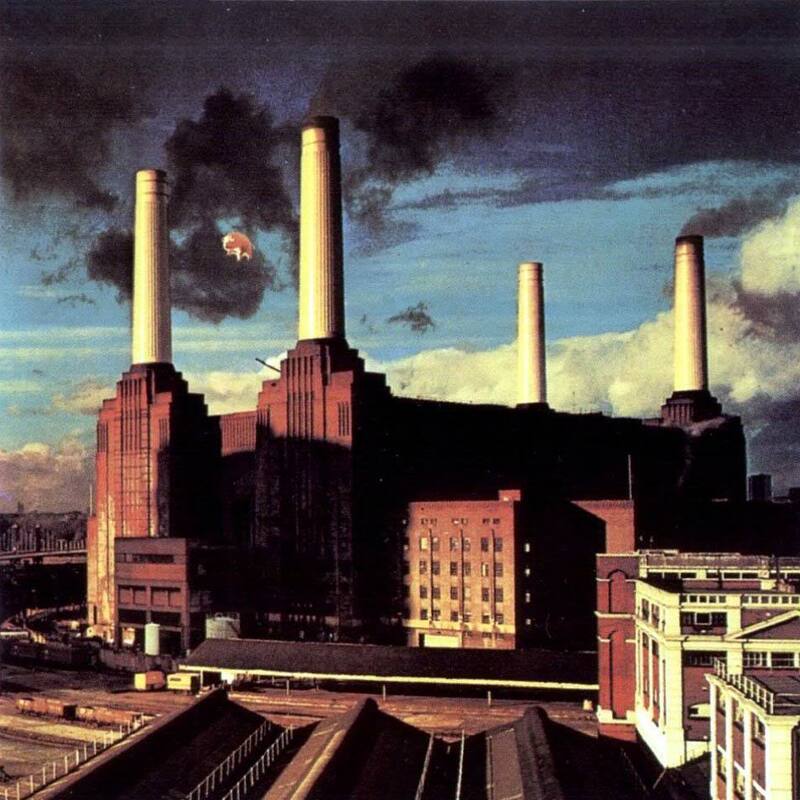 The album’s famous cover of a pig floating between two chimneys at Battersea Power Station was conceived by Roger Waters who regularly drove past power station and photographed on December 2, 1976. 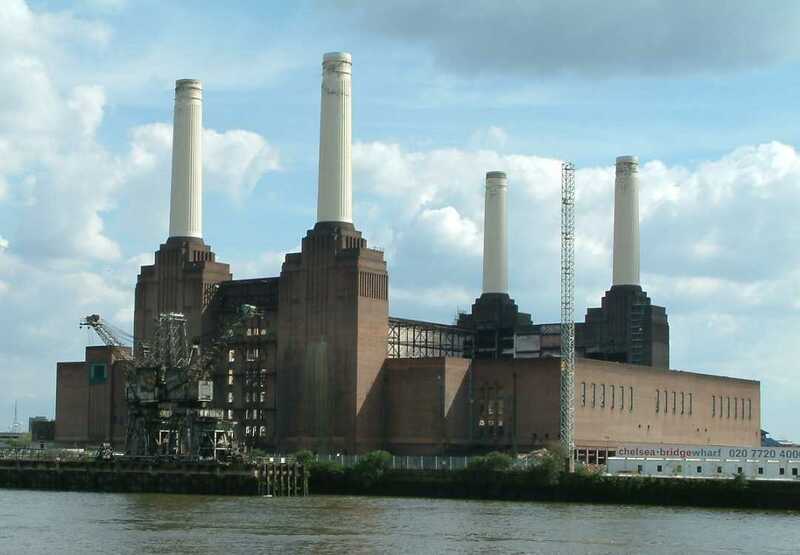 Battersea Power Station is a now unused coal-fired power station located on the south bank of the River Thames, near Battersea in London. 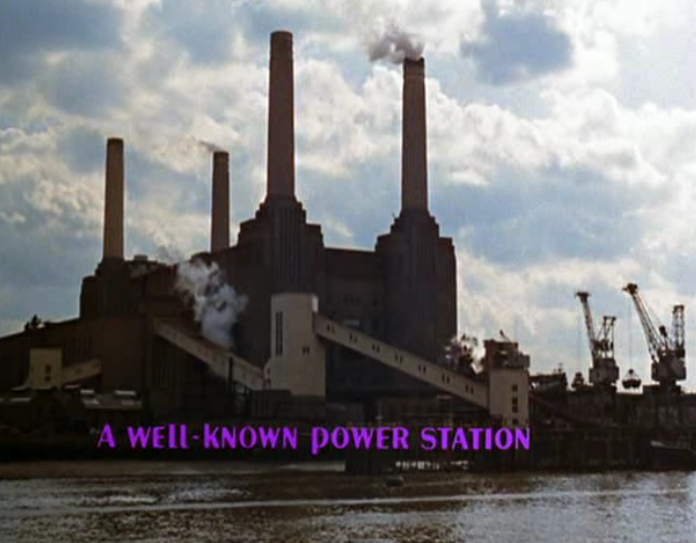 The station ceased generating electricity in 1983, but over the past 50 years it has become one of the best known landmarks in London. 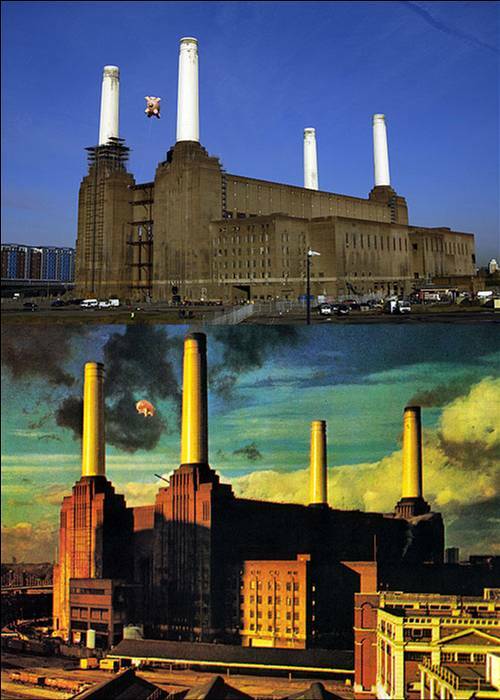 Photographs for the cover of Pink Floyd’s Animals album were taken in early December 1976. 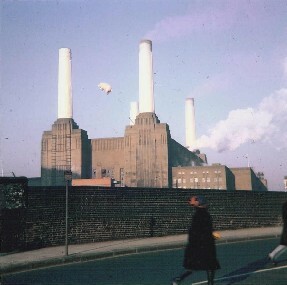 For the photo shoot, an inflatable pink pig, made by the Zeppelin company, was tethered to one of the southern chimneys. 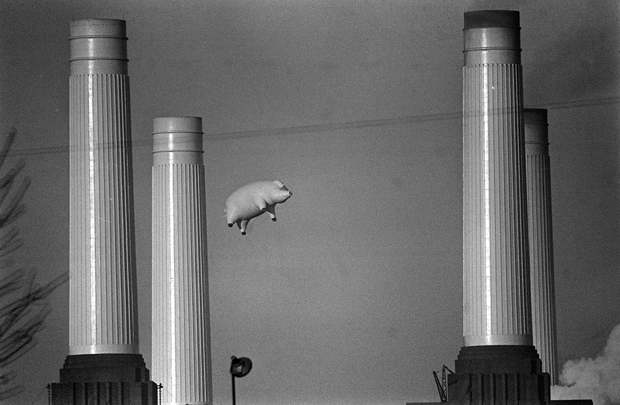 The pig broke free of its moorings and rose into the flight path of London Heathrow Airport to the astonishment of pilots in approaching planes. The runaway pig was tracked by police helicopters before coming to ground in Kent. 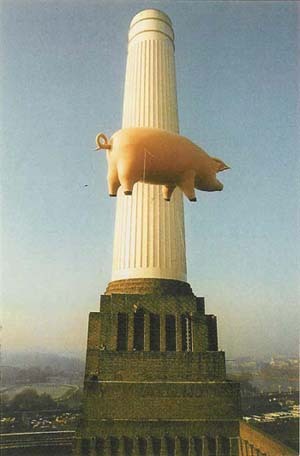 Whether the pig escaped, or was released on purpose to increase publicity, is not known. Screencap from The Beatles Help! Film. 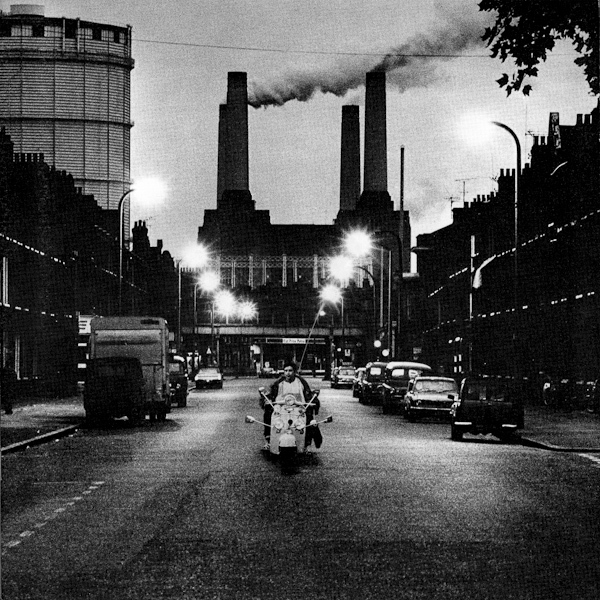 The booklet art for The Who’s 1973 album, Quadrophenia. 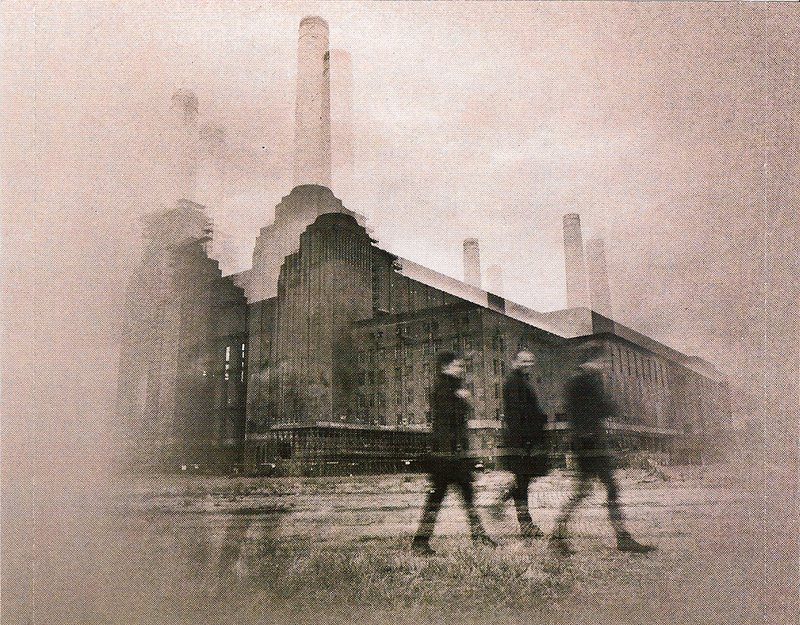 A photograph on the inside case of Muse’s 2009 album, The Resistance. 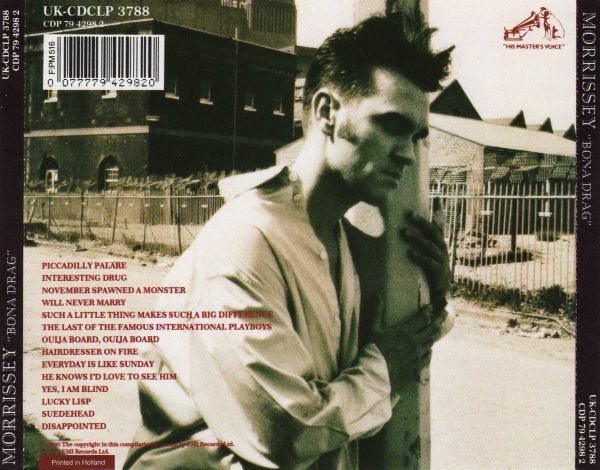 The back cover of Morrissey’s 1990 album Bona Drag.